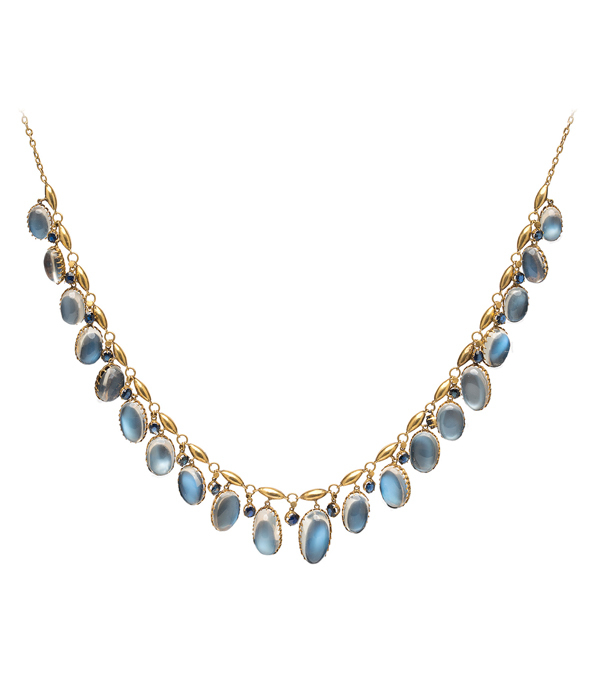 When it comes to moonstones, we’re positively bewitched. And when they are mounted in a beautiful 15K yellow gold Edwardian setting, we’ll move mental mountains for this beauty! 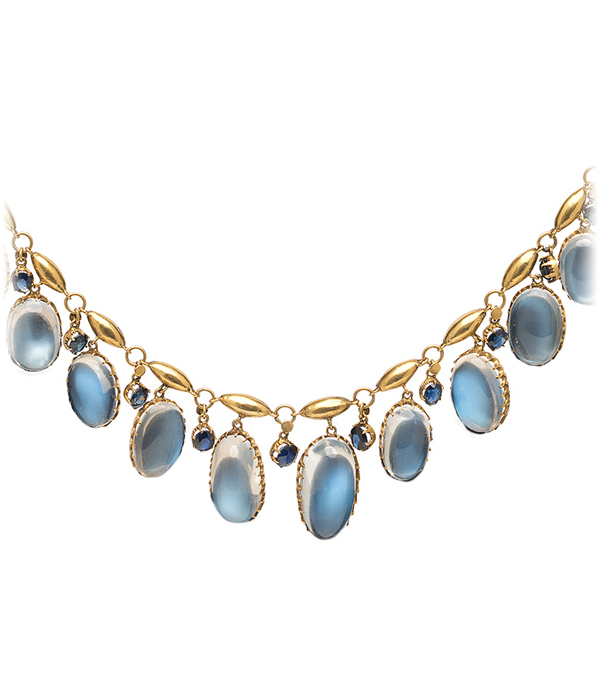 This stunning necklace dangles with graduated oval-shaped moonstones cabochons, possessing the most lustrous blue sheen and alternating deep blue sapphires. It has the magical quality of possessing our hearts not only with its vintage charm, but also with its on-trend wearability. Categories: Edwardian Jewelry, Vintage Necklaces.